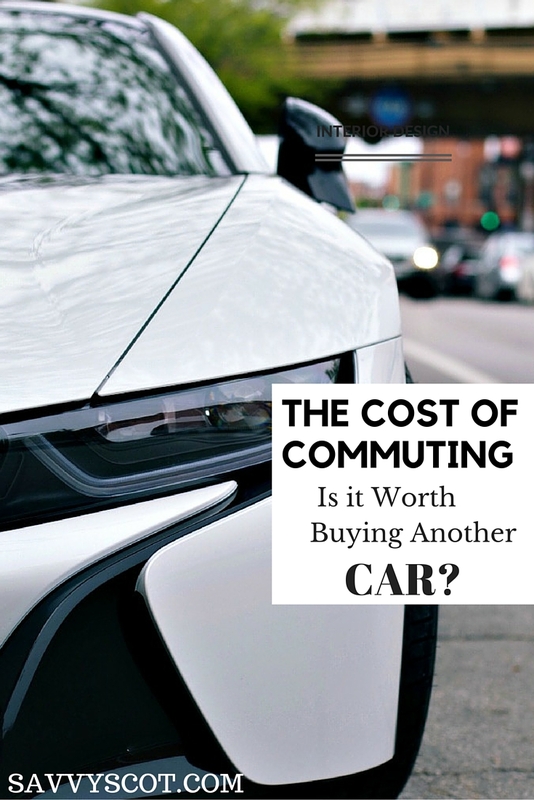 The Cost of Commuting - Is it Worth Buying Another car? I hope that everyone had a nice weekend – I had a great time tackling the crowds in central London for Chinese New Year – it was absolutely chaotic! There were queues to get into every single restaurant! I haven’t seen that many people since London New Year’s Eve 2010! Got a short post today weighing up the pros and cons of transport. In summer of last year I graduated and my wife and I moved to London. Having studied in a relatively small city and grown up in an even smaller one, I was very much accustomed to quick and cheap transport. When we first moved south, we had to find somewhere to rent pretty quickly and couldn’t afford to be too fussy with the location. We work an hour away from home, in entirely different directions, so car sharing is NOT practicle – especially in the morning traffic. Given that there are more than 4 weeks in an average month, let’s say that our fuel/train costs are approximately £400 per month ($640) In addition to this, there is obviously road tax/ maintenance and car insurance which is approximately another £100 ($160) bringing the grand total to £500 ($800) per month!!! While these costs are extremely high, there is not really anyway to reduce them. Car sharing is not possible for either of us, as our working hours can be extremely varied; depending on what needs to be done. Our commuting costs actually may be set to increase shortly when we move into our new house. The train from our new house would cost £13.50 ($22) per day with a railcard (outrageously priced operator). This works out at £67.50 ($108) per week. Unfortunately my wife’s offices are not on the same train line and train travel would take 2 hours. I would first add that new cars and sporty cars do not interest me whatsoever. While I would obviously love to drive one if I got it for free, I simply cannot justify spending 10s of thousands of pounds/dollars on a car. A conservative estimate of a ised car with approx 70000 miles is roughly £1000. I can pick up a car with a years tax and MOT for this price. Over a year this is going to cost me approx. The train plus bus to office from station takes almost 90 minutes. Driving takes only 40 minutes. By buying a car this would save me 100 minutes everyday. The extra costs of Car v Train are a little over £1 a day. My time is worth more than this! By having a car I have flexibility. Therefore my decision is made. I will be searching for a cheap car! Wish me luck. If they want Brits to be more green they need to do something about train and public transport prices, because I just cannot see how a family with kids can afford a day out on the train. Hope you enjoyed the New Year though! Thanks for commenting! This is so true. I was genuinely shocked when I moved south to find the cost of public transport. It is not often you can say that running a second car is cheaper than public transport! Unfortunately, given the privatisation of Southwest Trains, Season tickets are not available on my route! It would be fine if companies properly compensated with a London allowance, but £1500 a year simply doesn’t cover the increased costs! First thing, I think it’s awesome when you guys say “Petrol”. My stepmom is from overseas and she says all kinds of things like that. I love it. Second, I personally prefer to save time over saving money. Time is precious for me, and anyone really. My vote is to buy another car, since you will have a little equity (hopefully) after a few years, and with public transportation you have nothing to show for it. I like the flexibility and time saving aspects of owning a car. Good luck! Had a quick read of your blogpost. Another way of seeing this, and how I would see it, in that time spent on public transport is more valuable, potentially productive allows more other possibilities than time spent in a car. While driving a car there isn’t a lot more that you can do then listen to the radio, whereas while in public transport (if in good circumstances), this time can be spent to read, write (blogposts a.o). Don’t know how much you are could do with some extra time to read and write on public transport and this is off course difficult to bring into a financial calculation.